Last week adidas introduced their latest Exhibit Pack, which included some new colourfull boots for the most creative players in the game. Now they’re ready with their WMNS boots, made for their female athletes, so let’s see what adidas has done. It’s already time for new adidas football boots as adidas are ready with their WMNS Exhibit Pack football boots. This is becoming a yearly tradition, as adidas also introduced a WMNS pack around the World Cup last year. 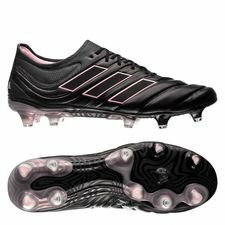 This year adidas focusses on giving the Predator 19.1 and Copa 19.1 new colours, which ended up with an awesome design. The Predator 19.1 is made with a fresh greyish colour on the forefoot, which fades over to a black instep and the Sockfit construction. If we compare the WMNS Exhibit Pack to the Predator 19.1 Exhibit Pack, then you’ll see a lot of differences. The updated Primeknit upper comes with pink shades, while the heel and inside of the Sockfit is made with a pink touch as well. The soleplate also features pink details, as it’s split between pink, white and black, which is an awesome combination. 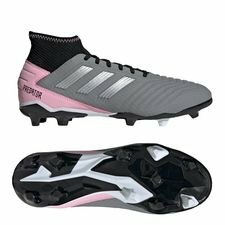 It seems that the Predator is a regular fixture in the WMNS pack, as adidas switched out the Nemeziz with the new Copa 19.1 in the WMNS collection. Well, it might only be normal to put more focus on your most innovative football boot, as it only launched late last year. 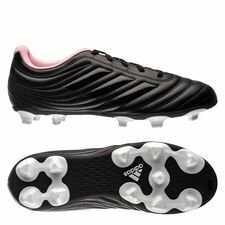 Compared to the Predator, the Copa 19.1 WMNS is kept toned down, as it comes with a black upper and pink details on the iconic Three Stripes. 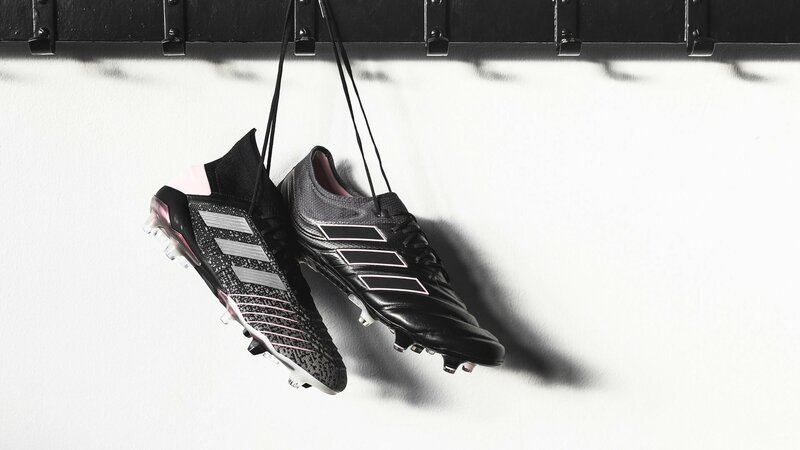 Furthermore, adidas still keeps the soleplate game on point by adding a pink and black mixed colourway on the Copa 19.1 boots, which looks stunning. 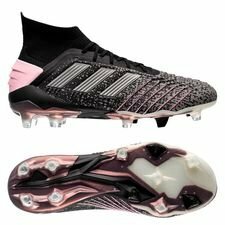 I can’t imagine that people won’t stare on your feet, while you bring your A-game in these new adidas Exhibit Pack WMNS football boots. They are made in smaller sizes, so you won’t be able to get them in above UK 7, as they are made to fit the anatomy of women’s fit, which gives an overall better fit and experience. Once again I’m jealous on the WMNS boots, as they don’t come in bigger sizes, while having the most awesome colourways!